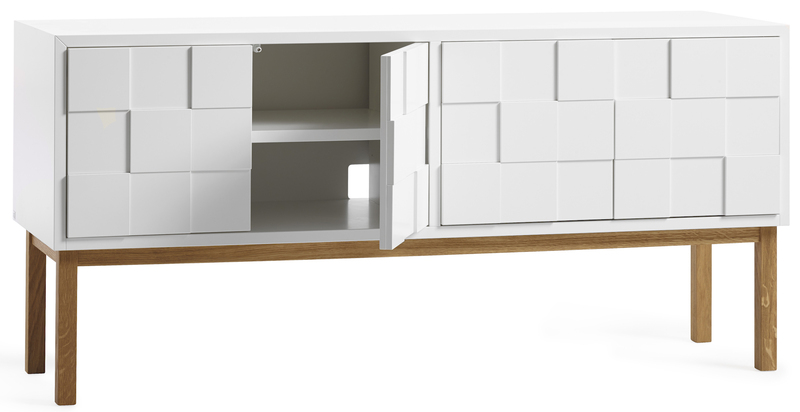 The Collect 2010 media storage is characterized by its interesting white doors with squares in different levels. It has holes for cable feeding and a height-adjustable shelf in each section. Its 4 doors are opened by a push mechanism. The Collect 2010 media storage is available with wheels, frame or base.